Account takeover occurs when a perpetrator unlawfully obtains and uses a someone’s personal information to control the victim’s existing bank accounts and credit card accounts. The person committing the fraud carries out unauthorized, illegal transactions without any consent or permission from the victim. The primary purpose is to gain financial or monetary benefits. In the Central District of California a female perpetrator used the stolen social security number of her victim to obtain thousands of dollars. She then filed for bankruptcy in the name of the innocent victim. Rightfully she was found guilty by law and punished for this unlawful act. In another case of account takeover a man was found guilty of conducting forgery. He obtained bank account information of an insurance company’s policyholders. This information was then used to transfer $764,000 into his account. But, law has its own course and method of punishing the guilty. When found guilty of these federal charges, he was sentenced to 27 months imprisonment. With the excessive use of the Internet, occurrence of such frauds has increased tenfolds. Nowadays, hackers all over the world are carrying out online crimes by using all sorts of information. Special programs called “Zeus” are designed to hack the systems of the victims. These programs are capable of stealing credit and debit card information and other important information stored on one’s computer system. Once they get access to this personal information it can unlawfully be used to empty bank accounts, illegal transfer of property or serious and life threatening crimes like terrorist attacks. A consciously premeditated task of using someone else’s identity to gain monetary benefits or some other advantages that a person is eligible for is known as Identity theft. As the name suggests, identity theft is unlawful and usually results in a loss or disadvantage to the person whose name is illicitly used. The adverse actions performed by the perpetrator can cause unpleasant consequences for the victim whose name is unlawfully used. Identity theft is illegitimately performed by using personal information, such as name, credit card number, or other identifying numbers without the owner’s permission. 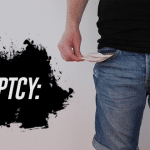 This causes monetary or other loss to the owner. According to the non-profit Identity Theft Resource Center there are five different categories of identity theft. Criminal Identity Theft: The criminal poses himself or herself as another person when seized for a crime. Identity Cloning: The doer uses some innocent person’s information to portray his or her identity. Thus the benefits entitled for the victim are enjoyed by the perpetrator. Medical Identity Theft: a very common identity theft wherein someone else’s name or identity is used to obtain drugs or medical care. 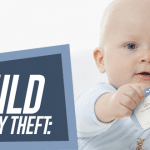 Child Identity Theft: Thieves don’t spare even children. Social security numbers of children are illegally used to get credit, or a driver’s license. According to a study conducted by All Clear ID on 40,000 children, 4311 of them were victims of child identity theft. That means the personal information of 10.2% of the children was unlawfully used for personal benefits by the perpetrators. Financial Identity Theft: The action executor uses someone else’s identity to get credit, goods and use services. The main type of financial identity theft is account takeover and is one of the most serious of all the above mentioned identity thefts. The only way to cut identity theft crimes is to remain alert. Make use of any personal information or identity cards very carefully, so that perpetrators don’t get the slightest opportunity to carry out illegal acts. Besides being a disgusting crime, it’s doubly alarming to hear that over 10% of children get their social security numbers stolen and used for identity theft. We all need to be alert to these kinds of predators. I suggest people go online and search for the best-rated virus and firewall protection. Do some research to find out which are the best providers, as it might surprise you. Also, don’t let your kids’ social security cards fall into the wrong hands. Those are best stored in safe deposit boxes. I didn’t know that our kids are very vulnerable to identity theft. The numbers are high and it’s enough reason for parents to worry about. Now this explains why identity theft protection companies offer services that specifically cater to children’s protection, like cyberbullying monitoring or cyber predator protection. If you think about it, the cyber criminals are finding new ways to get data from unsuspecting individuals and they are targetting the most vulnerable group in the population. If we, as adults, are victimized, imagine how easily they can get to children. It’s just not safe these days and it’s difficult to monitor what our kids do online. It’s really wise to use a service that will help protect us from identity theft. Being aware and being proactive is the way to stop these cyber criminals from taking advantage of us. Make sure to be vigilant with your personal information and make a smart decision by hiring a reputable identity theft protection company to monitor you 24/7. This is so scary. It’s never happened to me but I’d be terrified and traumatised if it did. I’m disgusted that even children can be victims of this sort of crime. I know lots of people who have had their cards used by hackers but luckily their banks spotted the transactions early enough. Your article doesn’t offer any advice on how to avoid identity theft, except for telling us to be more aware. Do you have more concrete advice? It is scary Sarah! Some advice would be to keep an eye on your credit report. A lot of identity theft protection companies offer this service so you can keep an eye out for any fraudulent uses of your identity. They will also monitor and alert you if anything fishy is discovered. It’s sad that over 10% of children have their identities stolen. And I know that kids aren’t running around using credit cards, so the perps must be finding some other way of exploiting these kids. Maybe they hack their SSN’s or something. Whatever method these guys are using, this is despicable. You know, the sad thing is that these days, our children are at risk as well. When I was young, I never had to worry about things like identity theft, from what I can remember, but now children have to worry about it. I guess if you can find a policy that covers everyone, including the children, you are better off as a family!